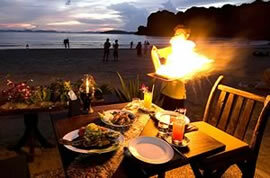 Railay village resort is surrounded by towers of huge limestone cliffs. The gardens are pretty and the location is perfect and only accessible by longtail boat. It’s a great place to enjoy your holiday. 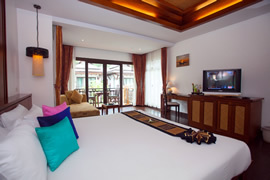 The resort offer two different room types, the rooms are very spacious and clean. Jacuzzi villa's stands amongst the gardens, the Deluxe Pool View are a great option because the swimming pool is right in front of your room. Ask for a room on the 1st floor if you want more privacy. 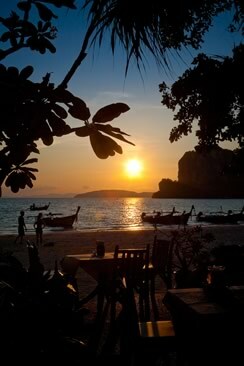 Railay is a small village most people go there to get away from the noise of Phuket or Ao Nang beach. Walk between the beaches, go rock climbing, hike, do a few dives. The Village Resort proves a great hub for that. If you wish to swim in the sea - feel free, there's a beach right in front of the resort and another one located on the opposite side of the peninsula a really spectacular one. If you wish to swim at the pool there are two of them located within the resort. There are two pools within the resort. 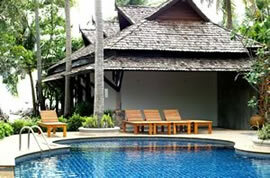 A reasonably sized pool on the beach (see pictures below) and a monster pool in the back around the pool villas. 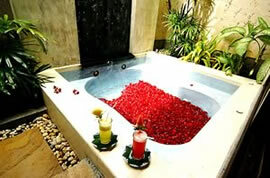 The Jacuzzi Villas are very nice- they are are large stand alone bungalows in a garden setting. The pool Villas are towards the back of the resort. They are in a lush garden setting, around a large pool. 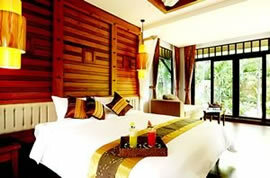 The rooms are in larger two story buildings, each building contains four rooms. For your convenience, we provide the transportation services: Private van / car & boat from – to resort. 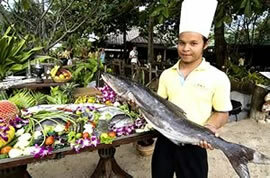 The Resort is located on the thin strip of land which makes up the Railay peninsula. All of the Rooms are no more than a minutes walk from the beach. The restaurant is located right on the beach provides delicious Thai, Chinese, and Western cuisine with special service which ensures that your meal will be one you remember.